​This is without a doubt the number 1 question mum’s ask when I begin a programme. There is a multitude of bedding available for your baby. Anything from top sheets, to blankets, swaddle blankets and sleeping bags. In the early days, your newborn should be swaddled with a 100% cotton swaddling blanket or receiver folded into a triangle to swaddle your baby. On a warm night or if your baby’s nursery is over 21 degrees, this is all your baby requires over her vest and babygro to keep her warm. If it is cooler, cover your swaddled baby with a cotton, wool or natural fibre blanket. The benefit of using blankets is that they can be layered to keep your baby at the correct temperature either by adding or taking away a layer. Remember: Always put your baby with their feet at the bottom of the cot and never put the blankets up past their shoulders. Pillows and duvets are not recommended until your baby is over 2 years old. As your baby reaches three months of age, she will outgrow swaddling and may begin to kick her blankets off. At this stage, the best cover for your baby is a sleeping bag. We strongly recommend sleeping bags as they keep your baby covered, limit the risk of over heating and there is, no risk of blankets covering your baby’s face and suffocating him/her. If the room is cooler than 18 degrees use a second blanket over your baby but keep it under her arms so that there is no risk of covering there face. What is the recommended Temperature for your Baby’s Room? The ideal temperature is between 18 and 21C. Get hold of a room thermometer so that you can check the temperature of the room on a regular basis. If possible, adjust the temperature in the room with a thermostatic control. If you don’t have one of these then plan your bedding and what your baby is wearing instead. A good way of being able to be in control of your baby’s temperature is to use a sleeping bag with an appropriate tog rating. A Tog is a measurement of warmth and has nothing to do with the thickness or weight of the bedding. The higher the tog, the warmer the product is. A 2.5 tog is good for using all year round in a room that is around the recommended temperature. In warmer weather (20-24C) use a 1 Tog rating and when the weather is hot (24-27C) use a 0.5 Tog. There are a number of external factors that can affect how warm your baby is. If your baby has a raised temperature due to illness, you may want to use bedding with a lower tog rating until their fever subsides. A Babygro alone is 1 tog, whilst a warm sleep suit can add up to 4 togs. Below is a quick indication of how to dress your baby for sleep. If your baby is too cool during the night he/she will wake up. You can feel the back of his neck to check that he is warm, and if his skin feels damp he may be too hot. Don’t worry if you feel that hands, arms and feet are a little cool. This is quite normal and is actually your baby’s way of regulating his temperature. Don’t buy sleeping bags with sleeves; it’s also not necessary to put a hat on when your baby sleeps. Ensure the sleeping bag you use is 100% cotton with cotton fill as polyester carries the risk of overheating. I hope this helps and remember the Golden Rule: “If you wake in the night and feel a sudden temperature drop or rise, your baby is feeling the same”. ​With the change to and from daylight saving’s each year you can almost hear the cry from Mum’s and Dad’s around Australia and New Zealand. “Don’t upset baby’s sleep pattern”. As delightful as the extra sunshine in the evening is, it can play havoc with your baby’s sleep routine. 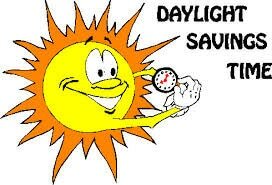 Elizabeth has put together handy tips for surviving the change to Daylight Savings. The change to and from daylight saving affects us all, but none seems to be felt as much as when baby wakes at 5am instead of the already early enough 6am. Generally, it takes about one week for everyone to adjust to the change. Over the course of one week put your baby to bed 10mins earlier each day. next day 7.40pm and so on until at the end of the week we have baby going down at 7pm again. Make sure that your baby’s room is darkened and use the room as the place for stories and quiet time before bed. This will help your baby adjust their body clock by “tricking” it into thinking it is already dark. Newborn babies are usually not effected by the start or finish of Daylight Saving. However older babies and children can be affected for a week or two and you may have an overtired little one on your hands as a result. It's the combination of a change to their body clock and also that they find it harder to fall asleep when it's still light outside! While your little one is getting used to the new time, stick to your usual bedtime rules and behaviours. For example, if your toddler can go to sleep by himself, avoid lying down with him or letting him sleep in your bed. A week of different bedtime routine while adjusting to Daylight Saving could be long enough to build a new habit, which you then need to deal with. If your child is sensitive to light or you find they are so used to sleeping 'when it's dark', then investing in a blackout blind will make the change to daylight savings go much easier. • Change your clocks on Saturday evening before you go to bed. ​Elizabeth has been giving babies the gift of sleep for over 20 years. With a gentle, loving and soothing nature, her methods are credited with breaking cycles of sleeplessness, emotional exhaustion and frustration for babies and their parents. Her program truly is a life changing experience. What’s your take on “controlled crying”? I think when people hear the words ‘controlled crying‘ they imagine leaving little babies to cry it out for hours on end. That’s absolutely something that we do not believe in or advocate. Our baby sleep program – which is for babies over six months of age – is about going into and out of the nursery every few minutes while we teach our baby to self-settle. We ask parents to stay close so that our little ones know we are on the journey with them. We also always remind parents to go to their infants immediately if they are ever in distress. What’s your single best piece of advice for new mothers? From the very beginning, put your baby down into their cot or basinette awake as much as possible. Drowsy but awake. That’s the key to teaching little ones how to drift off to sleep without the need for props like dummies, patting, rocking and feeds. I completed the “Maternal Nurses Aid” course and also has a “Newborn and Baby Health” certificate. I’ve spent 25 years working as a nanny in Australia and overseas. For the past 20 years I’ve worked for “Mothercraft and Nannies” a Sydney agency where I gained a reputation for being the sleep program expert. I’ve also observed sleep study units and done my own private research into sleep since I’m passionate about the area. I’ve worked with thousands of families both here and in the UK. Setting up a nursery for your new baby can be a fun time, but also very confusing for a new mum. There are colours to pick (should you go with pink, blue, or the more androgynous yellow? Decorative mobiles to choose from, and booties to buy. But your baby’s nursery can also play an important role in establishing your baby’s sleeping patterns. The stimuli your baby is exposed to in those first few months, and what you do, can set the scene for the rest of your baby’s waking (and sleeping) life. Don’t stress – this isn’t a black and white issue, and different things will work for different babies. 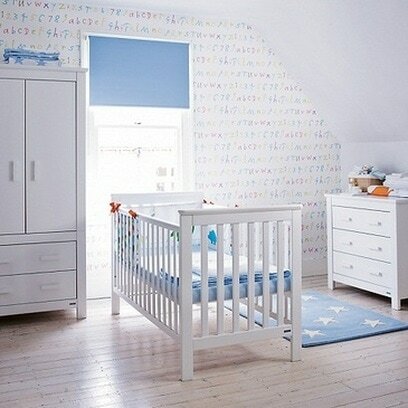 But here are some tips on setting up a nursery that will be the most conducive to your child’s sleeping patterns. After all, if you can spend hours agonising over fabric swatches, you can worry about sleep, too. The secret to setting up a nursery is to choose a calm, consistent environment for your baby to come home to: whether this be a separate room in your house, or a partitioned area in your own bedroom. As well as a cot, linen and appropriate lighting, there are some other items you can include in your baby’s nursery that will make life easier for you both. A change table will be a lifesaver. Sure, you can just use a towel on the floor – but think about how many times a day you will be repeating this action. 10 times a day? 15 times a day? Having a change table will save your back from a great deal of pain, and double as storage space for nappies, creams and wipes. You are also able to hang a mobile overhead, which will keep bub distracted while you deal with there, ahem, business. A rocking chair is also recommended – or any old chair will do, as long as it is safe. We recommend comfortable arms, and a chair that is well padded. Recliners are an excellent option. Having a chair in your baby’s nursery will be a godsend when feeding, as it will help support your back. A rug is another excellent item to include in your room. It will add a little visual flavour (which is important, as you will be spending quite a bit of time there! ), but they also provide a soft surface for your baby to wriggle around on from week 4 onwards. The most important thing to remember is that your baby’s room is a room for sleep. Many nurseries are chock full of stuff, that doesn’t make for a calm sleeping environment. Before you buy every accessory under the sun for your bub, or have a baby shower, remember that your number one priority should be piecing together a calm and peaceful room. Room temperature is not quite as important for your baby’s sleeping patterns as some sources would have you believe. However, it is best to avoid direct heating in the room – or at the very least, move the heater away from the cot area and place in the corner of the room. Most babies will develop heat rash, regardless of the temperature of the room. As your baby sweats, their skin will become red – and the only way to try to avoid heat rash is to not overdress your baby. Stick to cotton fabrics. Layering as the evening cools down is the safest and simplest way of securing a good level of warmth for your bub. You will need a bed for your baby. A cot that converts into a ‘day bed’ is a great idea, as this will also give your baby somewhere calming to recline in the afternoon. If space is an issue, then lots of families like to use bassinets, which act a great space saver. It is worth noting that bassinets are great to start off with, but are usually only suitable until your baby is nine weeks old. If you have multiple babies (and double the trouble getting to sleep) then a cot is the best option. A firm mattress is also really important, as is a cot that has measurements within relevant safety guidelines. You can find these guidelines through SIDS and Kids. This is very important, as over 3,500 families in Australia experience the painful loss of a baby, either through stillbirth or during the first month of life, from sudden unexpected death in infancy (SIDS). While cots that feature beautiful bumpers, pillows and frilly linen may look gorgeous – they are not safe. Simplicity is key. In terms of sheets for your baby, 100% cotton is best. It is also preferable to go with natural, breathable materials. More and more babies now suffer from eczema, and you can’t help but feel that our materials – which are so often man made fibres and use chemicals – can’t be helping with that. SIDS and Kids also favours 100% cotton linen for babies who are under six months old. Invest in good quality linen, or borrow from friends and family if you can. This is so, so important. It is recommended that you acquire 6 or more cot or bassinet sheets, two cotton cellular breathable blankets, and (if necessary) a mosquito net. In some environments and households there may not be mosquitoes – but lots of other creepy crawlies. A net can work to keep other bugs away from your bub, and ensure they don’t get bitten or itchy. In your baby’s nursery, it’s a good idea to have a toy basket, with plush toys – perfect for when they need a cuddle. It’s also a good idea to include a few extra toys for older children, if you have other kids. However, one thing you should avoid is placing mobiles in cots. They act as a distraction for easily intrigued babies, and will diminish your bub’s chances of self-settling. Cots are for sleeping, not playing. Curtains are very important in nurseries – and particularly handy if your room is very light during the day. Blinds will block heat and light when it’s sunny, and can also be used to keep heat inside during the winter. A good trick is always keeping the curtains open during ‘uptime’ for your bub, and closing them for all naps and night sleep. A lamp is also a sensible accessory – preferably one with a dimmer. This lamp will become a much relied upon friend during night feeding.